Do you support your root? Ever wonder what's in a number? There are many examples in the Bible as to why numbers and dates are important! Ask any of your American friends about 9/11 and they will tell you exactly where they were and what they were doing on that day. It was a day that changed history not only for America but the world. Julie and I were living and working in the earthquake disaster area of Turkey and can still see as clear as daylight as if it just happened today the look of total disbelief on the faces of all who were watching the events as they unfolded on TV. Then 9-1-1 can also be the telephone number to call in time of emergencies. A call that could make the difference between life and death! However there is yet another 9-11 and can be found in the New Testament the book of Romans from chapters 9 - 11. It is said that Romans Chapter 11 is the least read book by Christians and would therefore like to challenge you to study these chapters and especially Chapter 11. Is this our 911 wake-up call as Christians? Having a desire to know more about the grafting process I made a trip to the local garden nursery to find out more. I was amazed at the information that was presented to me and would like to share this with all who hunger after knowing more about your roots. If you carefully take a look at the picture above you will see from step 1 - 6 that the grafted in procedure is quite a delicate one. Before it can be done all the shoots from the rootstock has to be removed and the tree pruned to the required height in the fall (autumn). Food for thought, "Had Israel painfully been pruned so that we can be joined and why?" 1. Then in the summer months the scion bud must be cut from a well ripened shoot of the current season's growth leaving a cm of stalk above and below the bud. Food for thought, "Why was our old 'wild olive' root discarded?" 2. Peel back the shield of bark on the tree and cut a T shape by making the cut just deep enough and pull the flaps back. 3. Insert the Scion and trim off the top edge of the shield flush with the bar of the T.
4. Replace the flaps and tie with the raffia. 5. When the growth begins, cut loose the raffia. 6. Finally, prune the rootstock to adjust to just above the new shoot. If we look at the pictures we can see how carefully the shoot has to be protected until it is grafted in. It was always God's plan for us (the wild olive branch) to be joined together with Israel (the Jews, being the original olive tree). 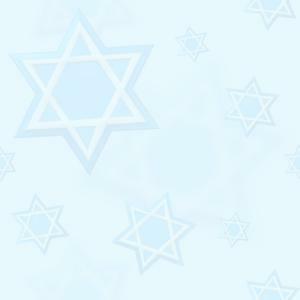 God is true to His covenant, and has made an everlasting covenant with the Jews and the Nation of Israel. If it would not be so then we should all be concerned as it would mean that God is not true to His word. Look at the picture again and as you study Romans chapters 9 - 11 you will see yourself as that shoot (wild olive branch) bursting forth from the sap of the original roots, Israel. Thank God that through disobedience of the Jews we can share with them in all that they have given us (and still contributing). Let us remain humble knowing that they are still the apple of God's eye and make a stand to help her in a time of need. Those who bless Israel shall be blessed!